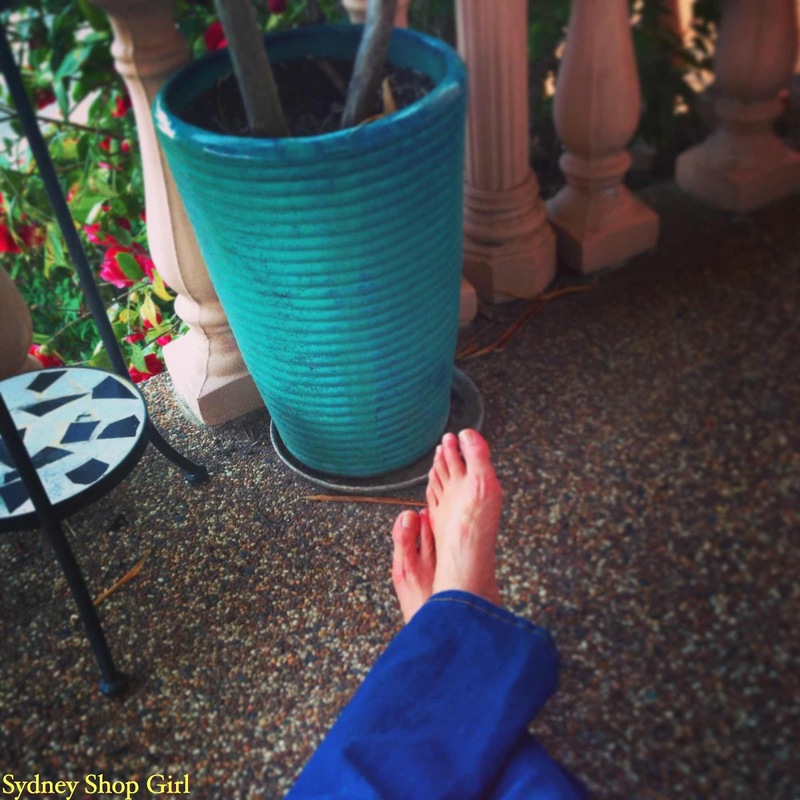 Sydney Shop Girl: Another Perfect Weekend Ends. Kids First Aid. 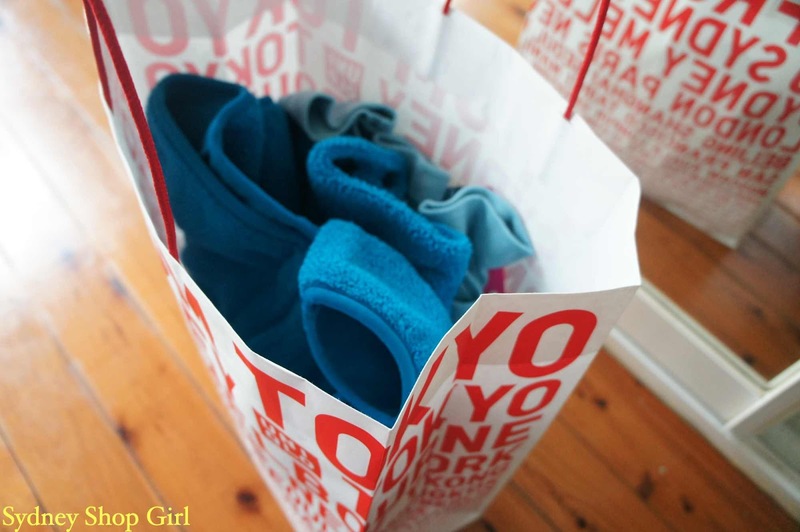 Uniqlo, Daiso and Lovisa. Another Perfect Weekend Ends. Kids First Aid. 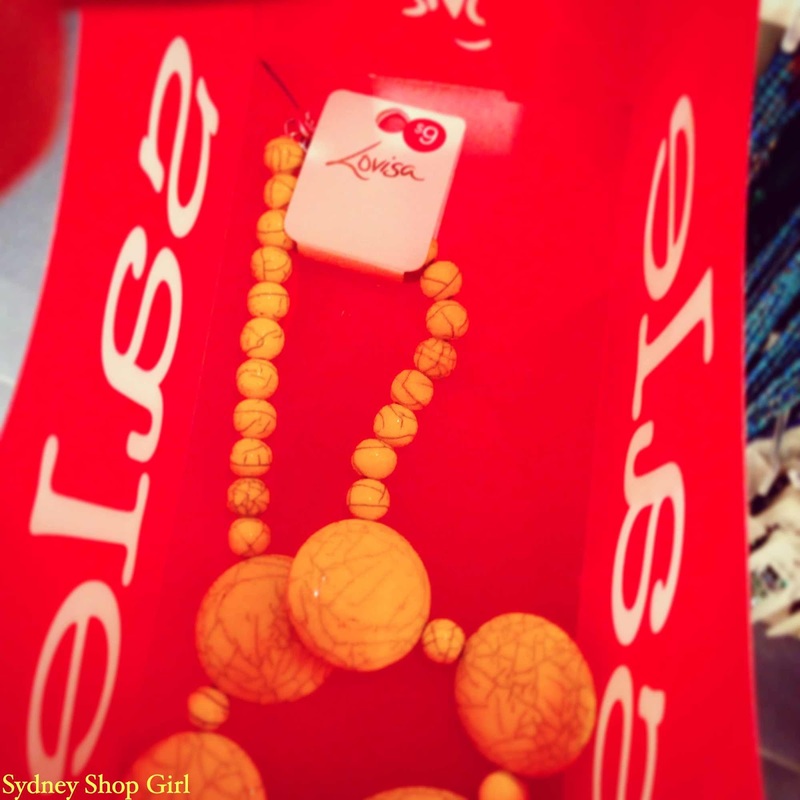 Uniqlo, Daiso and Lovisa. I can't think of a more pleasant way to end the weekend. Out on the water, watching the sun set with dinner possibly at the end of your fishing line. Not having any experience fishing or sailing myself, I was quite content to sit barefoot on the deck aka the SSG She Shed with the warm paving under my feet and a good view of the changing sky in front of me. It actually turned out to be quite a busy weekend for me. I finally got around to doing something I've been putting off for a very long time. On Saturday, I attended a short course in children's first aid. You always think it'll never happen but it only takes one near miss to realise how important it is to arm yourself with enough knowledge to make sure you don't freeze in a blind panic if an emergency should happen on your watch. The course I attended was run by Kids First Aid. The session was planned with parents in mind. 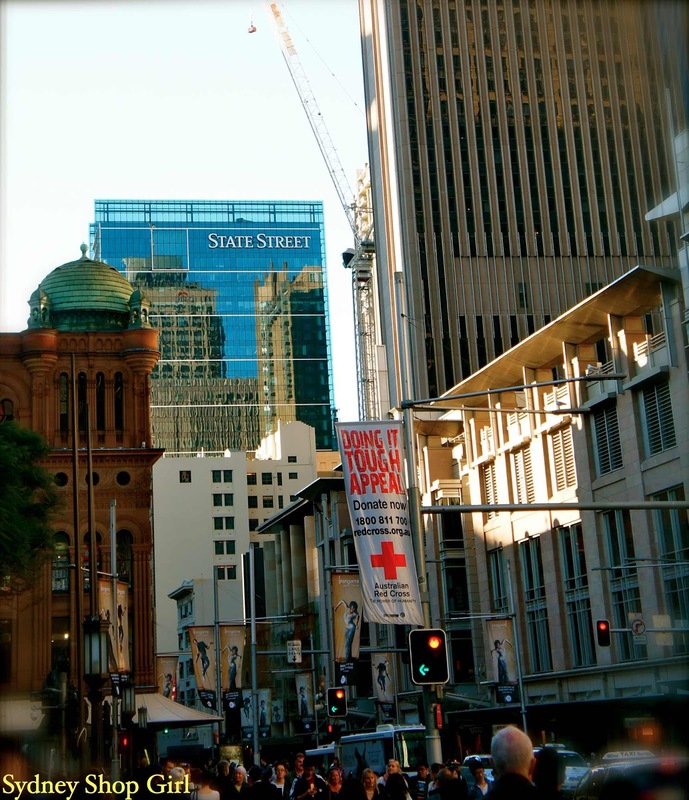 It only runs for 3 hours and Kids First Aid run the class in venues across Sydney mainly on weekends, making it just that much easier to get yourself to a session. The brainchild of a paramedic, each class is run by a paramedic and covers the 10 most common emergency situations a parent could face. Due to time constraints, there wasn't an opportunity to practice what we were taught but we were each given a hand poster summarizing the key points from the session to take home. I found the insights of our instructor very helpful. As a parent herself, she shared a few of her own personal experiences along with the course material which made the session very 'real world'. The 3 hour course costs $85 but there are concessions if you book as part of a larger group. The only thing with doing anything vaguely educational on a Saturday morning is that your brain hurts badly afterward. Solution? An afternoon out in the sun engaging in non academic activities. How did I survive all those years of rigorous study? Admittedly, not all of my afternoon of freedom was spent out in the sun. 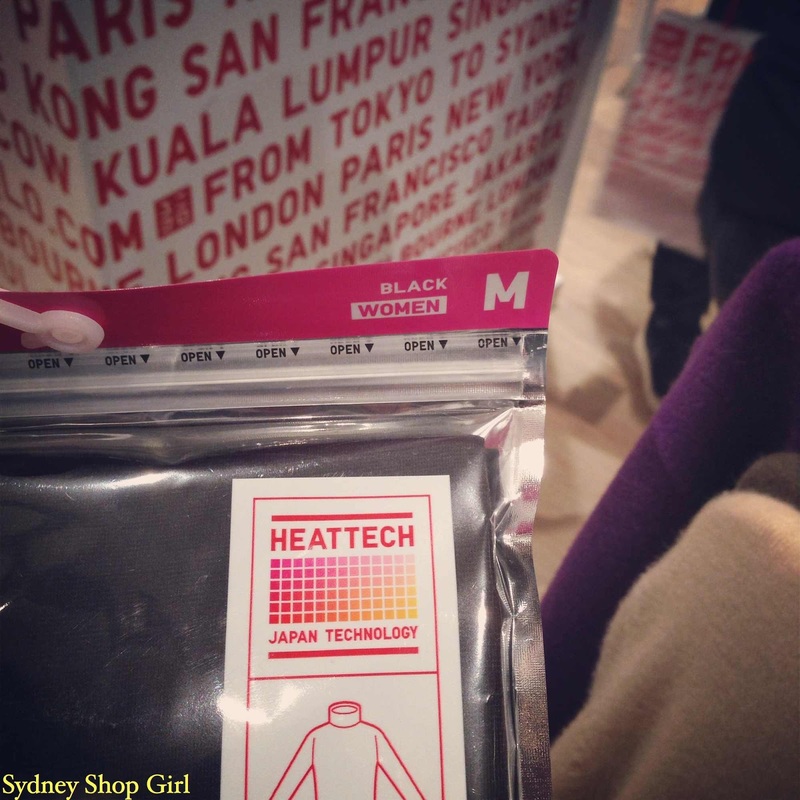 I couldn't resist the siren call of Uniqlo and their Heattech skivvies. Their light weight and decent length make them perfect for wearing under dresses during winter and at $19.90, they're not too badly priced. 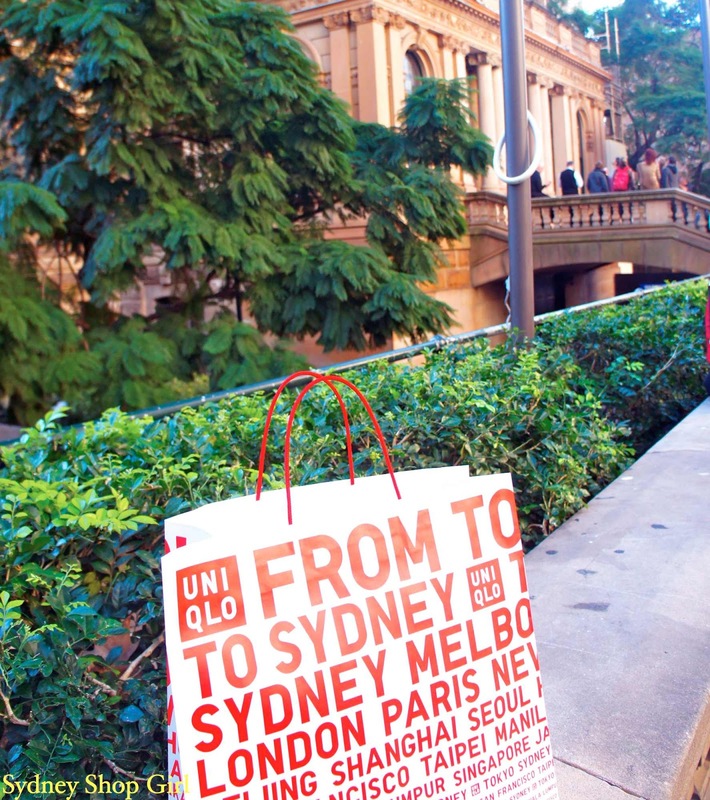 The frenzy at Uniqlo hasn't died down despite their being open in Sydney for a few months now. There was a 15 minute wait for the cashiers and barely room to breathe in front of the actual merchandise. But, I am a seasoned, well trained shopper and terrain like this is something I take in my stride. It was lovely sitting outside Town Hall afterwards - breathing in huge lung fulls of bus and traffic air. I figured that since I was in the line anyway, I might as well pick up the other two things I had my eye on. I bought a Heattech fleece turtleneck in blue ($19.90). Comfortable and easy to care for, the blue goes with all my winter skirts and trousers. I'll report back on just how warm it is. My final purchase was a bit controversial. The fluffy fleece full zip jackets were on sale, $29.90 down from $39.90 and selling like hot cakes - but only with customers of a certain age. Another of those said customers and I were having a conversation about how the brighter colours were so much more flattering on than the neutrals shades. She was leaning to a magenta and I was undecided between the blue or green. We both agreed that the jackets were a great value at the sale price and that we'd get a lot of wear out of them to boot. And then it happened. I overheard a young girl next to me in the throng telling her mum that she'd never wear anything out that looked like a bathrobe. As I took my Cookie Monster blue 'bathrobe' from the pile next to her, I was this close to saying 'but never is a very long time, young whippersnapper' from between pursed, frosted lipstick coated lips. I'm now definitely one of those women who puts uplifting colour and flattering cut before fashion when she's out clothes shopping. 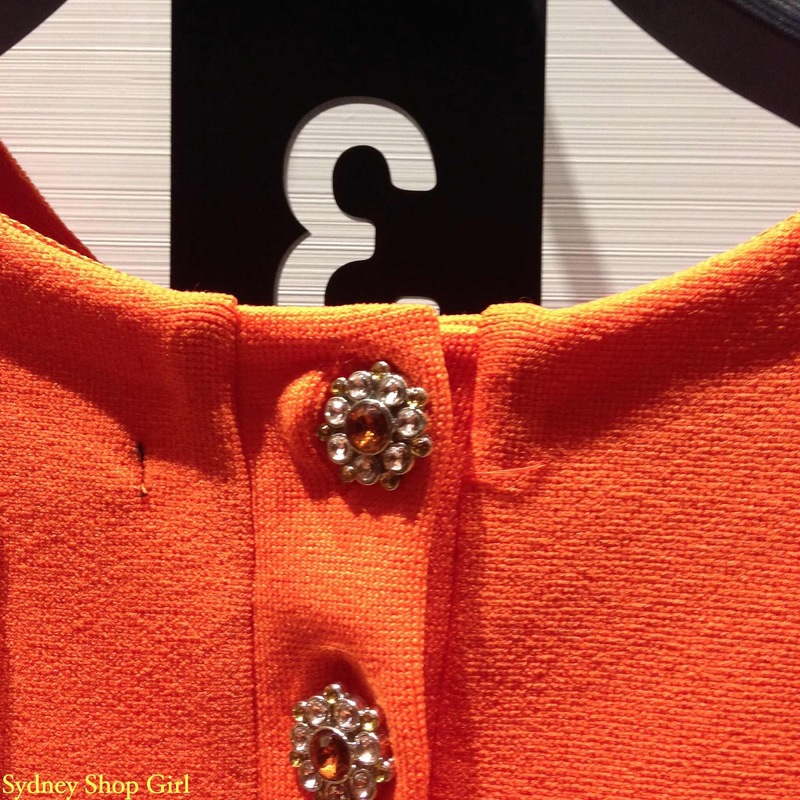 Heck, I even said no to this orange Zara shift because it was more of a top than a dress! As pretty as the back fastening buttons are, there's no way I could've worn it in any other way than as a flowing top over skinny jeans. Which would then have kind of defeated the purpose. Thankfully, shopping at Daiso is much less problematic. 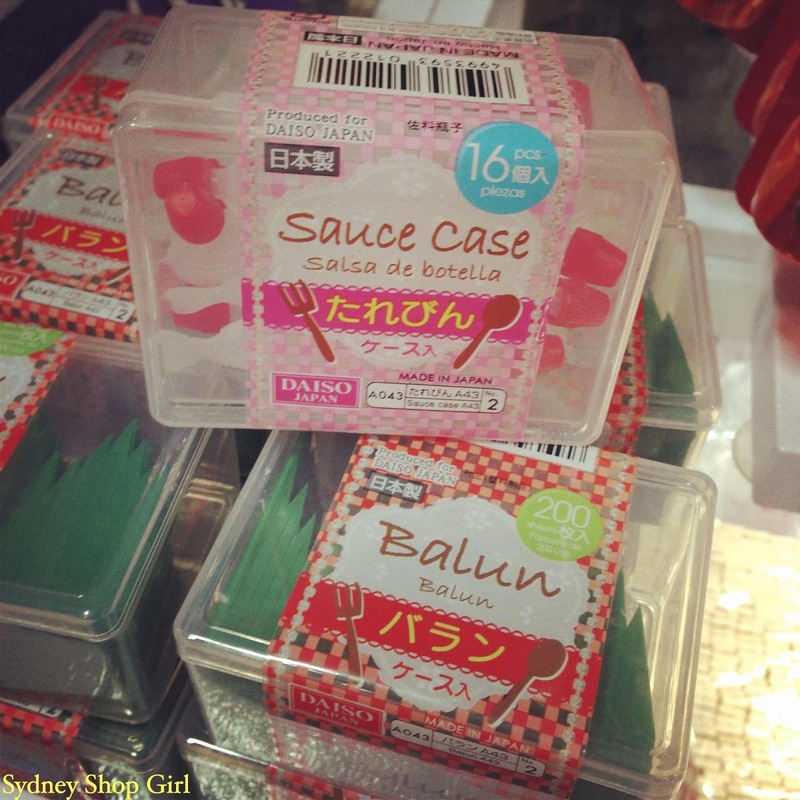 They think of everything at Daiso. You can even buy all the fixings to make your home made sushi and sashimi look store bought. I found these fish shaped soya sauce bottles and 'blades of grass' on my travels today. I left the sushi accessories where they were because I just don't have the hands or patience for fiddly food preparation. 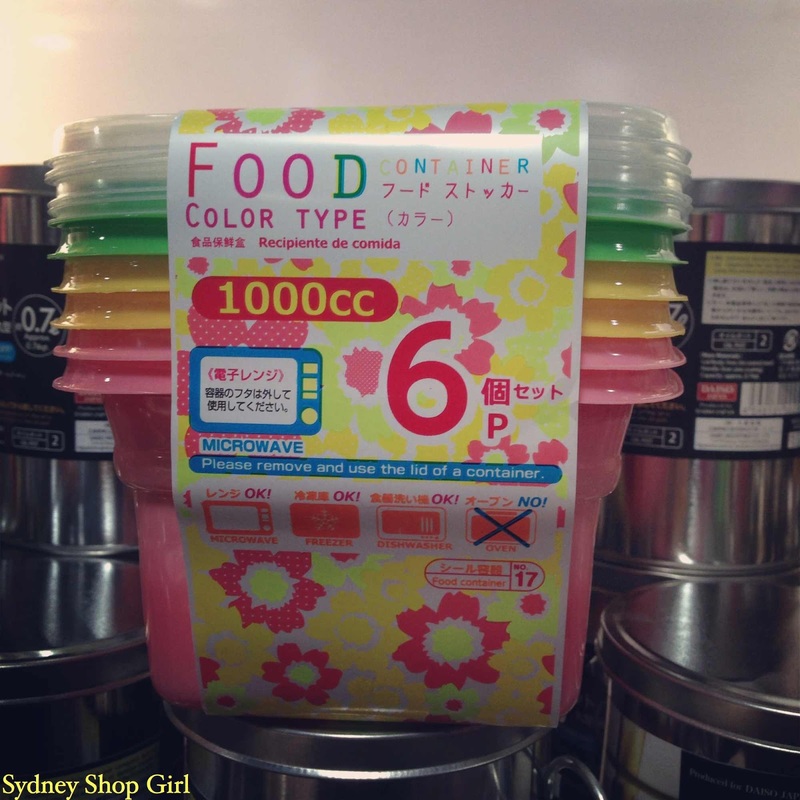 What I actually needed were these brightly coloured, freezer and microwave safe disposable food containers for my 'weeknight, home cooked with the miracle of the microwave' dinners. 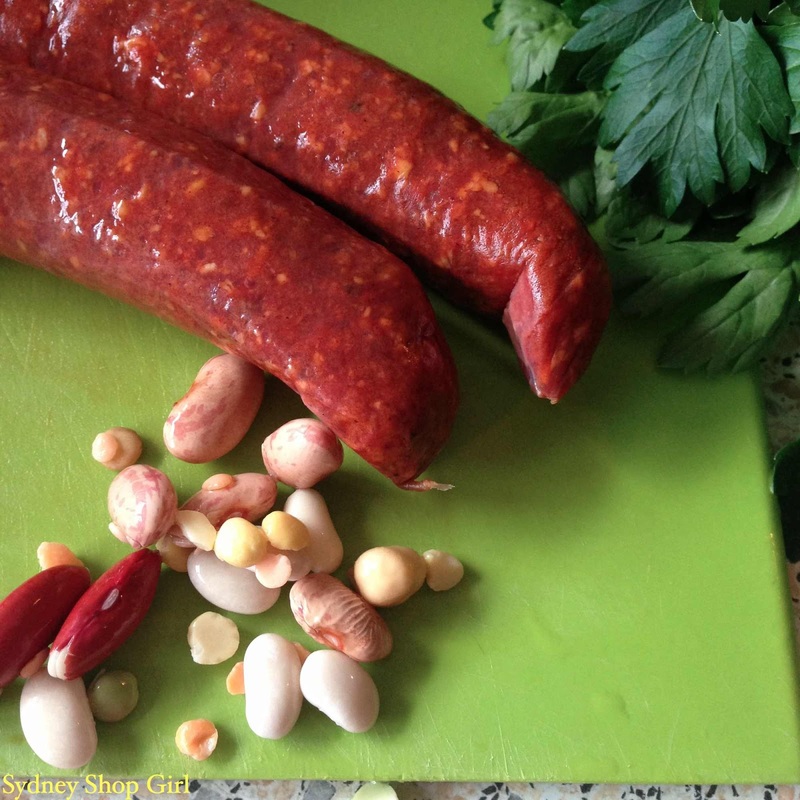 I'm in the middle of a batch cooking frenzy and the theme is chorizo makes everything tastes better. 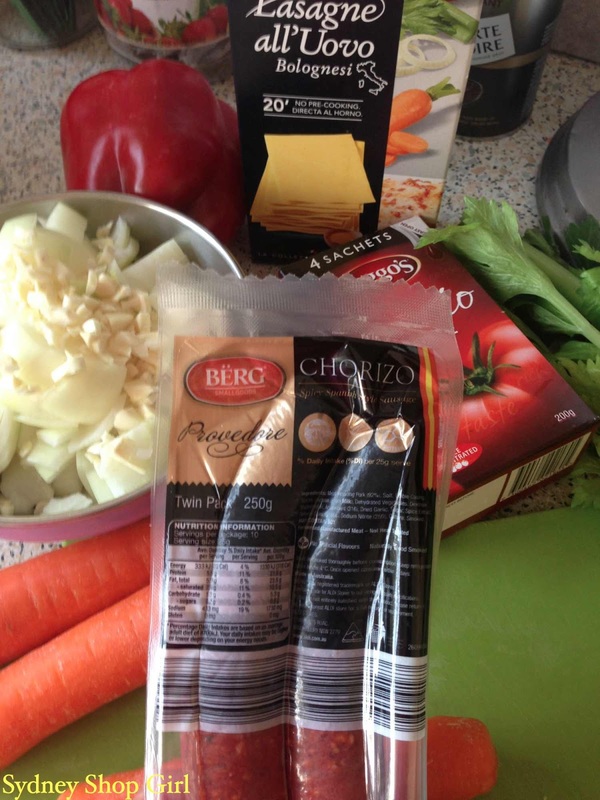 Chorizo - $3.50 for a pack of two from Aldi. My first project was to revisit the Kidspot one pan lasagna using chorizo in the tomato sauce and a massive bunch of basil as a garnish. 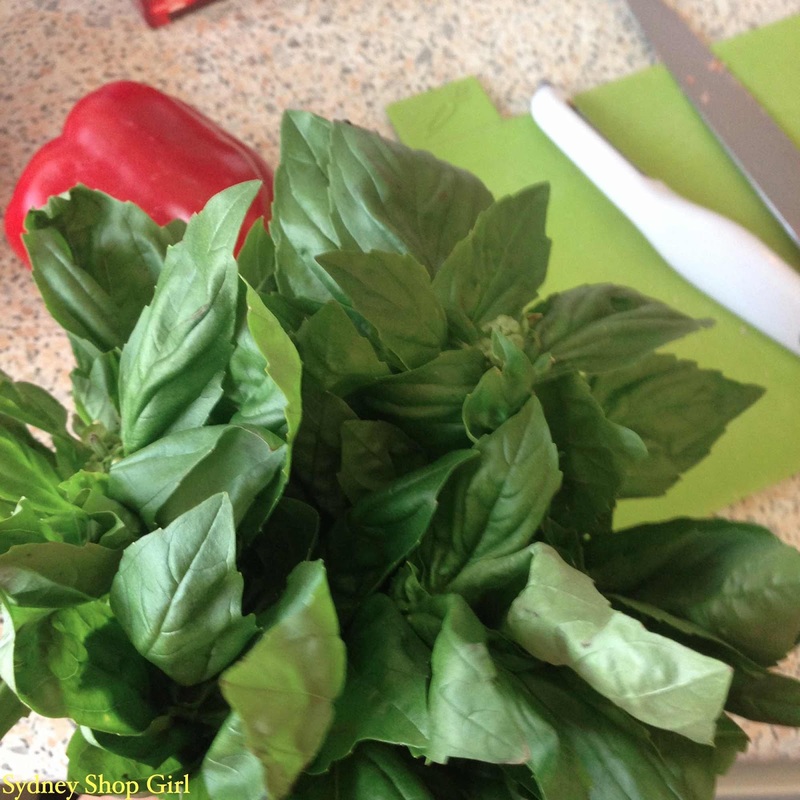 I can't believe the difference fresh basil made to an already delicious meal. Not sure how well the basil will survive freezing and reheating but I reckon it'll definitely be an improvement on the dried variety. Part two of the chorizo project was a chorizo, bean and vegetable soup. With bonus bunch of continental parsley. I was kind of bummed about having to put that Zara frock back on its rack but I found this little burst of sunshine on the sale rack at Lovisa. At 50% off too. I'm planning to wear it tomorrow. Never hurts to take a bit of the weekend sun in with you to work on a Monday. I grew up on the water, sailing and fishing. It is in my blood. It is like sitting on the deck with sun times ten kind of feeling. Those first aid with kids courses are fantastic. There is an app called Emergency + that everyone should have on their phone. It gives the location details for when you are calling 000. Your location and cross streets isn't always known in an emergency. It is an app developed by Government. A must for every parent and carer. Thank you for your waffle and helpful info on the emergency app! Off to look up this one pan lasagna! You won't look back once you've made a one pan lasagna, Ling! What a gorgeous picture up there on the water.